A Living Trust is a document that allows individual(s), or ‘Grantor’, to place their assets to the benefit of someone else at their death or incapacitation. Unlike a Will, a Trust does not go through the probate process with the court. Therefore, the person that is selected as the Successor Trustee will oversee that all the property in the Trust will transfer to the Beneficiary at the time of the Grantor’s death (the Beneficiary and the Successor Trustee are often the same person). Irrevocable Living Trust – This type of Trust cannot be changed and acts as a separate entity. Places any property listed in the Trust as its property and no longer in the ownership of the Grantor. An Irrevocable Trust will typically need its own tax identification number, known as an EIN, which you can Apply for Free Online with the IRS. Revocable Living Trust – More popular than an irrevocable solely because it can be changed at any time. Assets placed in a revocable trust is considered to remain in the Grantor’s possession and all capital gains must be paid as if they were personal. 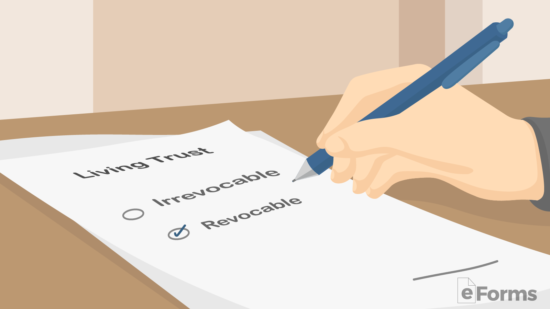 Does a Living Trust Have to be Registered? Beneficiary – The individual that benefits from the Trust at the time of the Grantor(s) death. Settlor (or Grantor/Settlor) – The individual setting up the trust, the ‘trust-maker’. Trustee – The individual that is in charge of the trust. This person will have full control over the assets and can make decisions whether buy, sell, or any other related responsibilities. Successor Trustee – The person who steps in only if the Trustee is not able to make decisions for themselves and is able to make decisions on behalf of the Beneficiary. Usually requires a note from a medical physician in order for this role to become in effect. Irrevocable – Assets are not considered part of the Grantor’s estate. Revocable – The assets are considered part of the Grantor’s estate. Revocable Trust – The income flows through to the Grantor and will appear on their annual IRS Form 1040. Irrevocable – All assets are out of reach from any lawsuit or creditor of the Grantor. Revocable – All assets are subject to the Grantor’s creditors. Irrevocable – If assets are placed in the trust at least five (5) years before entering a nursing home they will not be subject to seizure. Revocable – The assets are not protected and are liable to seizure by a nursing home. Irrevocable – No changes, amendments, or termination is allowed in most States. For example, in New York under § 7-1.9 the Grantor may terminate or amend a trust as long as the Beneficiaries agree to the changes. So it’s important to research your respective State laws. Revocable – Any type of change or termination can be made by the Grantor at any time. Irrevocable – The Grantor is not the owner of the assets placed in the trust. Revocable – The Grantor is the owner of the assets placed in the trust. Irrevocable – The Trustee is the legally known as the person who holds title to the property on behalf of the trust beneficiaries. The trust is considered to be a separate entity and therefore the Grantor cannot be the Trustee. Revocable – The Grantor may also be the Trustee and continue to make any decision related to the property. Will – The court will have to appoint someone to oversee the affairs of the Grantor and have all expenses approved by the appointed representative. Although this can be avoided by creating a Durable Power of Attorney when creating your Will. 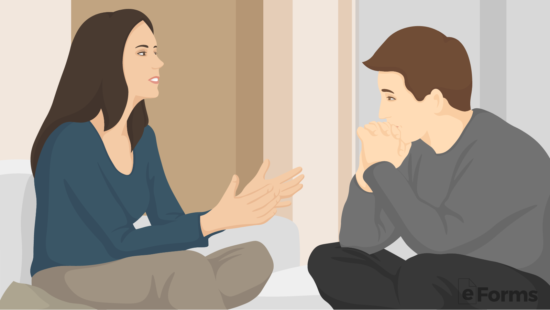 Trust – Does not allow for the Grantor to make guardian arrangements for children. All Trusts end at the time of the Grantor’s death which makes any property or assets directed to minor children be placed in the parent or guardian of that child (unless otherwise stated). Will – Allows a Grantor to name a Trustee they would prefer to be the caretaker of a minor. Trust – Automatically bypasses any court or legal process and put the transfer of the property in the sole hands of the Successor Trustee. Will – Requires a Judge to “sign-off” on the transfer of assets to ensure it was fair to the Heirs in accordance with State law. Trust – Only property that is listed in the Trust will be transferred to the Beneficiaries. Will – All property under the ownership of the Grantor will automatically transfer to the Heirs. Trust – Privately document held by only those involved. Will – Must be recorded with a government office in applicable counties. Can I Make my Own Living Trust? Yes! Although it is always recommended to speak with an estate planner to ensure you are making the best available choices for your needs. But anyone can make a Living Trust on your own. Take an inventory of all the property you would like to transfer into the Trust. This should include all real estate, personal property, and any other rights to property (if any) that you would like to transfer to someone else at the time of your death. The Beneficiary(ies) is the individual(s) that will be inheriting the property after the death of the Grantor. This will not go through the Probate process meaning that no family members will have the right to object to who is listed. This is the person that would handle the property in the event of the incapacitation or death of the Grantor. Commonly this is the same person as the Beneficiary but depends on the circumstance of the Trust (such as is the Beneficiary is a minor). Irrevocable – Cannot be changed and acts as a separate entity from the Grantor which means they no longer are considered the owner. Revocable – Can be modified at any time and the Grantor may also act as the Trustee and make any type of decision about the asset as necessary. You can download any of the forms in Adobe PDF, Microsoft Word, or Open Document Text and begin completing with your personal details. The form is not required but highly recommended to be signed in the presence of a Notary Public. The sole responsibility of a Notary Public is to ensure that documents are signed and that the individuals signing are who they claim to be. Therefore this type of authorization guarantees to all the parties involved that the individuals who signed were able to think competently and that the signatures are genuine. After a Living Trust has been completed, signed, and notarized an original copy should be kept by all parties involved in the document. 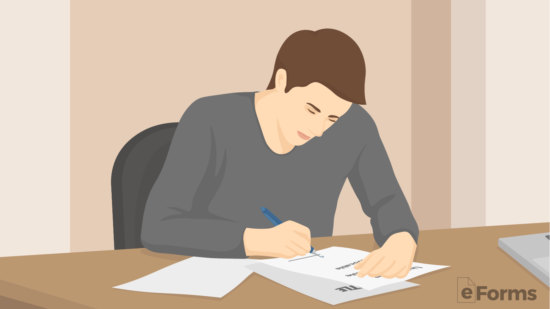 Unlike a Will, this form does not need to be registered or signed with any government office and is to be solely held by the Grantor(s), Trustee(s), and Beneficiary(ies). While the Grantor is alive they will receive all the benefits ($) from the Trust. The Beneficiary will only receive the Grantor’s property after their death (unless otherwise specified). A living trust only has to be registered in Alaska, *Colorado, Florida, Hawaii, Idaho, Michigan, Missouri, Nebraska, and North Dakota. The Grantor/Settlor may terminate a revocable trust at any time. The first step is that all assets listed in the trust must be re-established (re-titled or even deeded) as the property of the individual. In other words, any property stated in the trust is technically under the property of the trust and not the person; you must, therefore, transfer it from the trust and back to the original ownership. If you registered your trust with the local court (a procedure authorized in certain states; ), notify the court that the trust has been terminated. Be sure to have the revocation signed and dated in the presence of a notary public. The witness or notary may not be the trustee. The effective date of the revocation should be the date you sign, if possible. In the event of complete revocation of this trust, all property or money of the trust estate, including all accumulated income, will be transferred and delivered to grantor/settlor or original donor. A pour-over will is an instrument that is put in place to direct property to a trust and are often used in conjunction with a revocable trust. Pour-over wills are used as a “Catch All” for Individuals with a revocable trust who may die with probate assets even after designating property to a trust. The trust must be executed prior to or at the same time as the execution of the pour-over will. Should be entirely consistent and not contain any conflicting or contradictory language inconsistent with the revocable trust. Directs that, upon the death of the testator, the entire estate will be distributed to the trustee of the revocable trust. 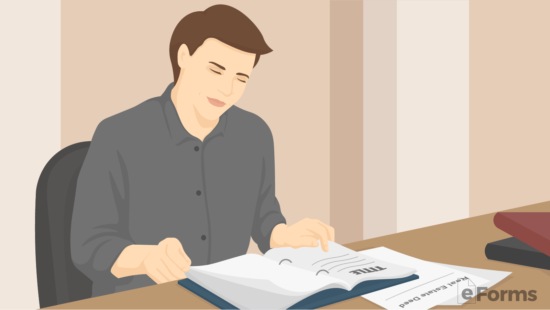 Usually nominates the person in line to serve as trustee as executor, with the same structure for alternates as well. Below are links that will re-direct you to the State-specific probate laws related to living trusts. Some States have adopted the Uniform Probate Code which is a set of laws created in 1969 that were intended to be applied nationwide but have been adopted by 16 States. The 16 States using the Uniform Probate Code are Alaska, Arizona, Colorado, Florida, Hawaii, Idaho, Maine, Michigan, Minnesota, Montana, Nebraska, New Mexico, South Carolina, South Dakota, and Utah.